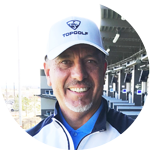 Reggie Sanchez is a Class A PGA Member that has been teaching for over 14 years. His mentors include: Hank Haney, Manuel de la Torre, Mike McGetrick, Dave Pelz and Danny Harvanek. 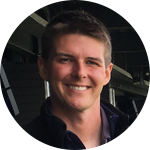 He started his career teaching at The Golf Club at Bear Dance (Home of the Colorado PGA) and then worked at GolfTEC DTC for the past 5 years. Reggie has had the opportunity to work with the newest golf technology including high-speed video, motion measurements, and ball flight and fitting technology. Reggie has taught more than 14,000 lessons and has given hundreds of Junior and Adult clinics throughout his career. The Colorado Avid Golfer Publication rated Reggie as one of the top instructors in the State of Colorado in 2013, 2014 and 2015. He was nominated for the Colorado PGA Teacher of the year in 2015 and Youth Player Development Award in 2014. Reggie is also a Top 100 Club Fitter in the USA from 2011-2015 with Golf Digest. Davis Bonner grew up eating, breathing, sleeping, and golfing in Wyoming. In a small farm town, he has worked at a golf course since he was 10, and was an accomplished competitor by the time he was 12. After playing competitively for much of his youth, he decided to make a career out of his love for the game. With a little better weather, he moved down to Colorado and started working at Plum Creek Golf Club. He has worked as an assistant professional between Colorado and Arizona for the last 3 years. Through his life as a golfer, he has already acquired a vast knowledge of the golf swing and the game of golf. He has kept his own game at scratch level and has spent the last couple years studying the game and how to teach it at Plum Creek. His philosophy on the golf swing is that fundamentals are the foundation on which everything else is built. After helping students understand and grasp these key concepts, his goal is to help every person find their own golf swing and have fun playing this great game.